Yum Brands’ spun-off local unit is a straightforward play on rising mainland consumption, offering Chinese growth with U.S. governance. A surprisingly modest valuation for the KFC operator suggests punishment for past mistakes – and caution about China’s economic transformation. 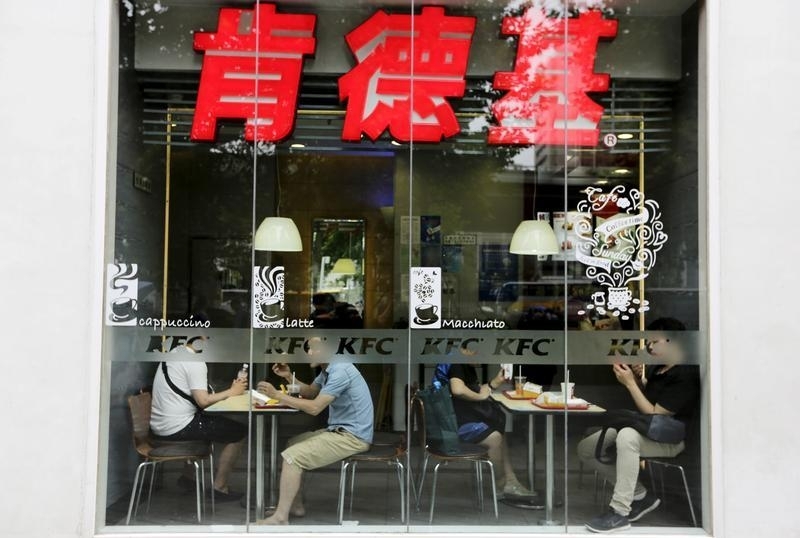 U.S. fast food giant Yum Brands concluded the separation of its China unit on Nov. 1. Yum, the group behind KFC, Pizza Hut and Taco Bell, begun the split in October 2015, after facing pressure from shareholder activists. Shares in Yum China rose 8 percent in their first full day of trading on the New York Stock Exchange, to $26.19. The stock has traded in the grey market since Oct. 17. This "when-issued" trading, so-called because the trades cannot be settled until the split is formally completed, has ranged from $23.79 to $30 a share, Thomson Reuters data shows. Shares in former parent Yum Brands fell more than 2 percent to $60.69. The newly listed group is China's biggest restaurant operator, ending last year with nearly 7,200 outlets. It starts out with more than $900 million of net cash, about $1.1 billion in annual EBITDA, and more than 400,000 employees. As well as fried chicken, pizza and tacos, it sells Chinese food through the East Dawning and Little Sheep brands.